Askasleikir (Ash Bowl Licker) is the 6th of the 13 Icelandic Yule Lads. The Lads are the sons of Grýla and Leppalúði, two of the most hideous ogres in Icelandic folklore. The Yule Lads’ original role was to strike fear in the hearts of children. 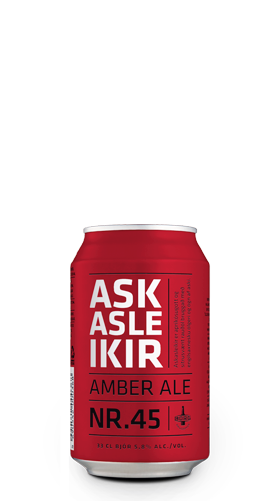 Askasleikir is a festive Amber Ale brewed with specially selected English yeast, hops and a touch of ash, yielding a delicious taste of apricot and citrus. Ingredients: Pure Icelandic water, malted barley, hops, ash (wood) and yeast.